In a time of market volatility and economic uncertainty, when high-frequency traders and hedge fund managers seem to tower over the average investor, Burton G. Malkiel's classic and gimmick-free investment guide is now more necessary than ever. Rather than tricks, what you'll find here is a time-tested and thoroughly research-based strategy for your portfolio. 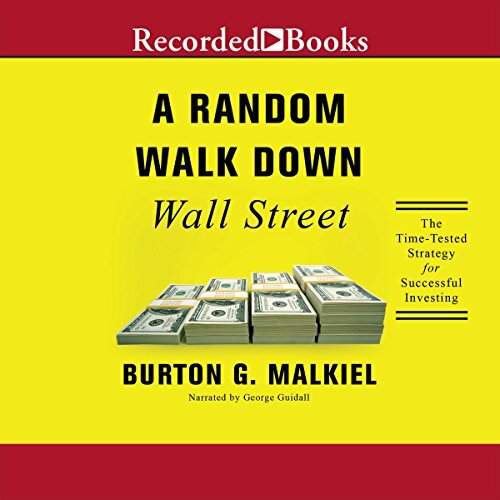 Whether you're considering your first 401(k) contribution or contemplating retirement, this fully updated edition of A Random Walk Down Wall Street should be the first book on your wish list. In A Random Walk Down Wall Street, you'll learn the basic terminology of "The Street" and how to navigate it with the help of a user-friendly, long-range investment strategy that really works. Drawing on his own varied experience as an economist, financial adviser, and successful investor, Malkiel shows why, despite recent advice to the contrary from so-called experts in the wake of the financial crisis, an individual who buys over time and holds a low-cost, internationally diversified index of securities is still likely to exceed the performance of portfolios carefully picked by professionals using sophisticated analytical techniques. In this new edition, Malkiel has provided valuable new material throughout the book on exchange-traded funds and investment opportunities in emerging markets, and in a brand-new, timely chapter, Malkiel authoritatively assesses the pitfalls and prospects of the latest investing trend, "smart beta". On top of all this, the book's classic life-cycle guide to investing, which tailors strategies to investors of any age, will help you plan confidently for the future. You'll learn how to analyze the potential returns not only for basic stocks and bonds but for the full range of investment opportunities - from money-market accounts and real estate investment trusts to insurance, home ownership, and tangible assets like gold and collectibles. I learned a lot about the history of investing, corruption, and so much more. I love how the author talks about so many different strategies and how none of them are as effective as a buy and hold strategy. A lot of other books just give vague/general advice, but this book recommends actual index funds that work. I learned all of this and so much more. I have read about 7 investing books so far and this has been the best. I am embarrassed to admit that I was a fairly ignorant investor as I blindly on a monthly basis put my money into a 401k . I had no idea what the money was invested in. With this book I was able to decipher what was before unintelligible and understand where my money was going. As it turns out the index fund is based on an appropriate lifecycle and also developed mkts which is good. I now have more confidence to take small portion of a cash and buy other index funds that are not represented in my portfolio like Reits developing mkts, etc. I have even picked a stick or two. 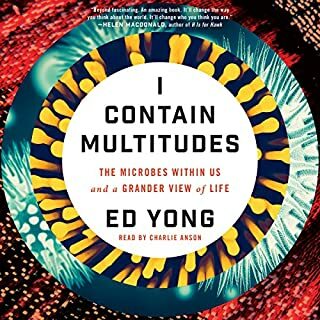 The only reason that I did not give the book a 5 is that at times he can become very quantitative and numerical which is difficult to follow in an audiobook. Finally, the narrator was outstanding as he lent the right amount of gravitas mixed with good humor to the narration. Well worth your credit. 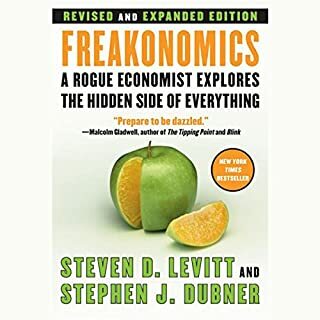 The most practical and sage investing book? investing a few hours in listening to and applying this book will tap you a returnthousands of times your investment. This book is probably the most dependable, wise and practical book on investment available. It is aimed at investors living in the USA but all of the lessons are directly applicable to all other investors as well. Only the direct discussion of tax issues and retirement savings accounts is US - SPECIFIC, although the principles remain the same for any western economy with similar means of taxation and retirement saving. This book will help you invest to get rich slowly BUT SURELY. 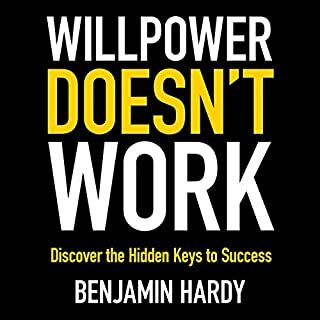 You can depend on this book because it is backed by significant research rather than the latest fad or anecdotal "social proof". 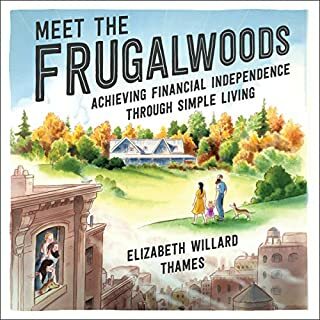 Further, the author explains in detail why the approach he recommends is really the only logical approach based on the evidence AND the practical techniques discussed are woven into investment plans that you can tailor to your age and financial situation. For all readers, but particularly those in the US, this is the most dependable and useful book on investing you will ever read. It might not contain "exciting secrets", but it will enable you to invest with confidence to achieve your financial goals. Extremely helpful - great fundamentals - a must listen!!! This has to be the best conservative investment book! I think it rivals the intelligent investor. 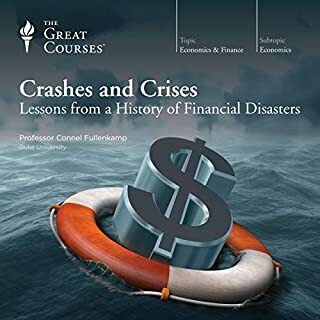 But its so much more covering topics such as The Dutch Tulip Bubble of 1637, .Com Bubble, Housing Bubble, Ponzi Schemes, Economics, Technical Trading / Chart Patters(from a skeptics point of view), Fundamental Trading, Market Trends, Beta, Smart Beta, Analyst, and then wrapping up with an excellent section on personal finance. The narrator is perfect and I probably laughed out load more then most due to the humorous sarcasm that you find in sections of this book. If I could give it a sixth star rating I would! I've read about 20 books on investing and I only remember this one and the Warren Buffet biography because those are the two best. This book is just witty enough to make it enjoyable to listen to but not too witty that it shows off. Narrator is great and it lays down the truth about everything you'll ever need or want to know about stocks. Loved it. Will re-read next time I go broke in stocks again to remind myself how to do it right. 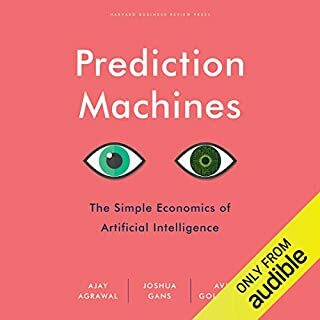 Great logical and intuitive guide to investment. This was a great logically built guide to investments. I thoroughly enjoyed it. However audio book may not be the best medium for it. Don't get me wrong, the reader was excellent but there are some data in the book that are hard to ingest without looking back to it. I know I will also purchase the hard copy of this book to revisit such parts. Phone review. Funny stories of investors foolishly picking last year's winners. Can boil main points of book down to a page's worth of material but a very important page!). Supra singly well updated with Internet investing. Skip to part 3 of book. The lesson of this book is simple: you can't beat the market so buy index etfs. Almost all of the book is geared toward that premise.